Abstract. The article presents the author's view on the main goals and objectives of cultural policy, in particular, the introduction of the values of the state ideology into the mass consciousness, the influence on the electoral behavior of people, their political loyalty to the current government, etc.the most Important means of such influence is the management of people's historical memory, their identity, national identity. The features of these tasks in relation to Russia are considered. Keywords. Culture, cultural policy, state ideology, political loyalty, electoral behavior, paternalism. See, for example: Astafieva O. N. Theory of self-organization as a conceptual basis of cultural policy: problems of theoretical Culturology // Questions of Culturology. 2006. No. 12. 18-27; Astafeva O. Cultural policy: theoretical concept and management: lectures. Moscow: rags, 2010. 69; Astafieva O. N. Cultural policy of Russia: theory-reality-perspective // Public service. 2010. No. 1. 68-73 et al. See. about it: Bocharov V. V. Sources of power. Anthropology of power. Vol. 1. Power in anthropological discourse. SPb. : Ed. St. Petersburg state University, 2006. Pp.172-220. See. this, for example: Razlogov, K. E., Orlova E. A., Kuzmin E. I. Russian cultural policy in the context of globalization [Electronic resource] // Otechestvennye Zapiski. Magazine for slow reading. 2005. № 4 (25). 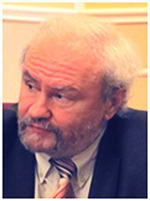 URL: http://www.strana-oz.ru/2005/4/rossiyskaya-kulturnaya-politika-v-kontekste-globalizacii (date of application: 18.02.2017); Vostryakov L. E. State cultural policy: concepts and models: monograph. SPb. : Ranepa, 2011. P. 168; P. Gavra N. Cultural policy: social and state interaction, technology, diversity / / Modern science: actual problems of theory and practice. Series "Humanities". 2013. No. 1-2. 63-65 et al. See. about it also: the Ministry of culture of the Russian Federation. Official site. URL: http://old.mkrf.ru (date accessed: 18.02.2017). Pushkin, A. P. Letter to P. Y. Chaadaev on 19 October 1836 // Pushkin A. P. Complete works in 10 volumes. Vol. 10. M.: State publishing house of fiction, 1962. 307-310. For More information see: flier of the Good and evil in the cultural and historical understanding [Electronic resource] // information portal Knowledge. Understanding. Skill. 2015. No. 3. URL: http://www.zpu-journal.ru/e-zpu/2015/3/Flier_Good-Evil / (date of application: 26.09.2015); flier Selected works on the theory of culture. M.: Soglasie-Artem, 2014. 560 p.